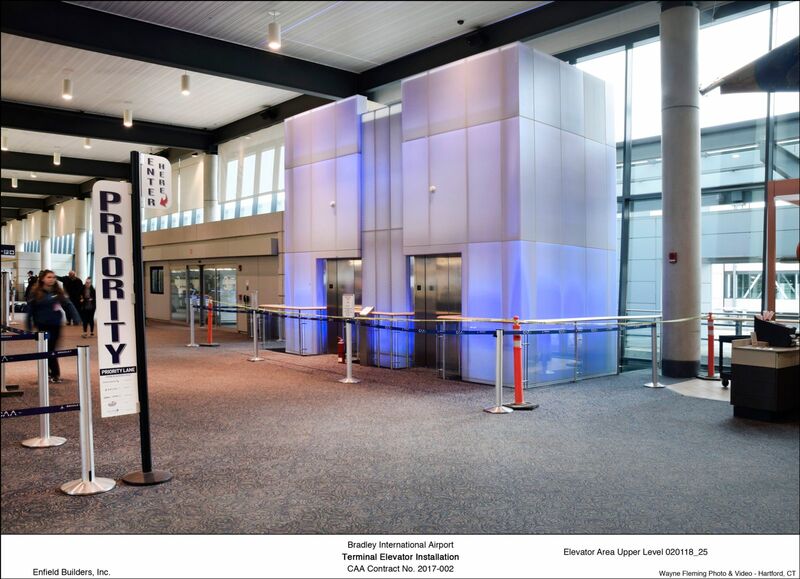 Enfield Builders was chosen as the General Contractor for a new two-stop, dual-cab machine-room-less passenger elevator connecting the second floor Ticketing Lobby and first floor Baggage Claims of Terminal A at Bradley International Airport. The project required a new remote elevator control room in an existing first floor exterior alcove space. 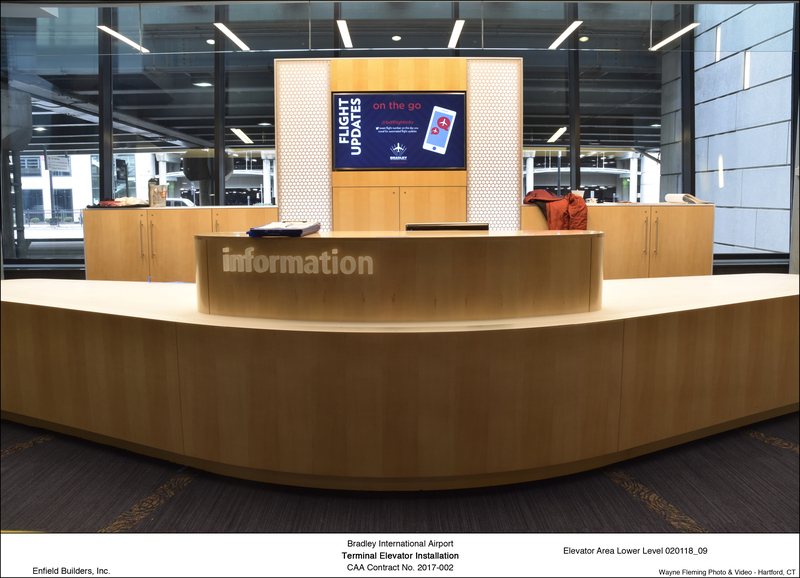 Enfield also built a new information center consisting of desk, freestanding storage millwork and digital and print information displays. Renovations to the finishes, lighting, HVAC, and sprinkler systems in the area surrounding the elevator and information desk on the first floor were also completed.